February 15th Winter BBQ: We will be grilling and playing classic BBQ games at the gym. Think of it like like an indoor summer party! Starts officially at 7:30p after the 6:30 class, but feel free to come earlier. Please bring something to share! 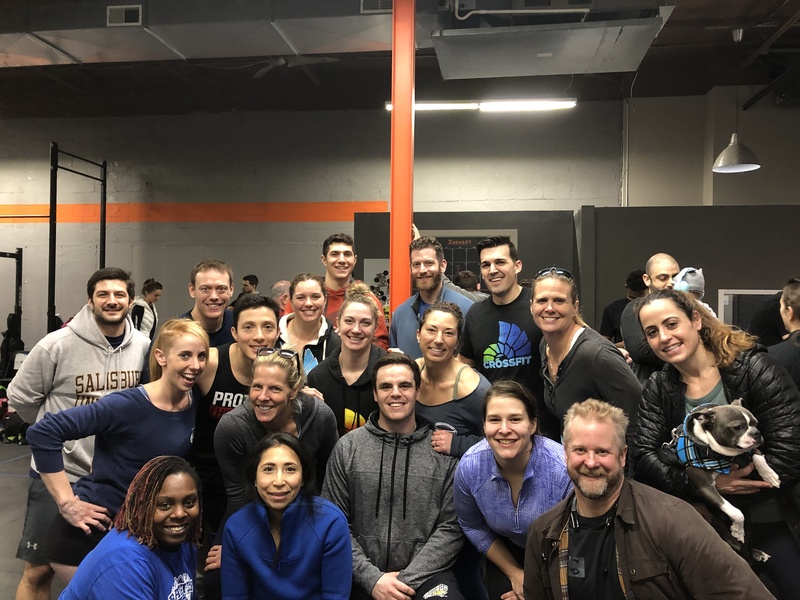 February 17th Partner Yoga: The softer side of a Partner WOD! Grab your friend, partner, or spouse for this special 90 minute workshop of stretching & relaxing. Double the recovery after a long week of work by releasing tight muscles & alleviating tension & stress. This awesome event will be at NOON on Sunday (in lieu of regular yoga). February 22nd Friday Night Lights: We ring in the first week of the Open with the first FRIDAY NIGHT LIGHTS at the Cove! Coach’s Tip: A light weight triplet with a fast rep scheme. You should be able to constantly move the whole time with minimal rest periods. This one is sneaky though… you should be able to manage your heart rate throughout, but managing stairs the next day might be tricky.